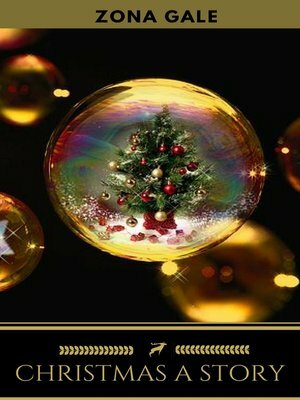 Christmas, by Zona Gale, is a tender little study of the intricacies of human nature, done with that clear-eyed understanding that made the Friendship Village stories memorable. This new story has its scene laid in Old Trail Town, a town which is undergoing a temporary period of financial depression, because the Ebenezer Rule Factory Company has been obliged to shut clown for the time being, and Abel Ames's Granger Company Merchandise Emporium is in straitened circumstances, owing to the failure of about half the towns-folk to settle their bills for last year's Christmas presents. So the church committees and the town meeting and other official bodies get together and vote that this year, for the good of the community at large, no one shall give presents,—and despite a few feeble protests from mothers who foresee heart-aches and tears for the little ones, the measure is carried with general approval. But it happens that a certain maiden lady, Mary Chavah, receives word that her sister has died, leaving a little orphaned boy, who is to be sent on to her, and will arrive just before Christmas. And it is the Christmas spirit brought by the advent of this little child into the house of Mary Chavah that sets at nought all the wise economical forethought of the worldly minded Abels and Simeons and Ebenezers. There is a good deal of symbolism lurking behind the simple surface narrative, making an effective little parable, embodying much indulgent criticism of human frailty and shortsightedness.